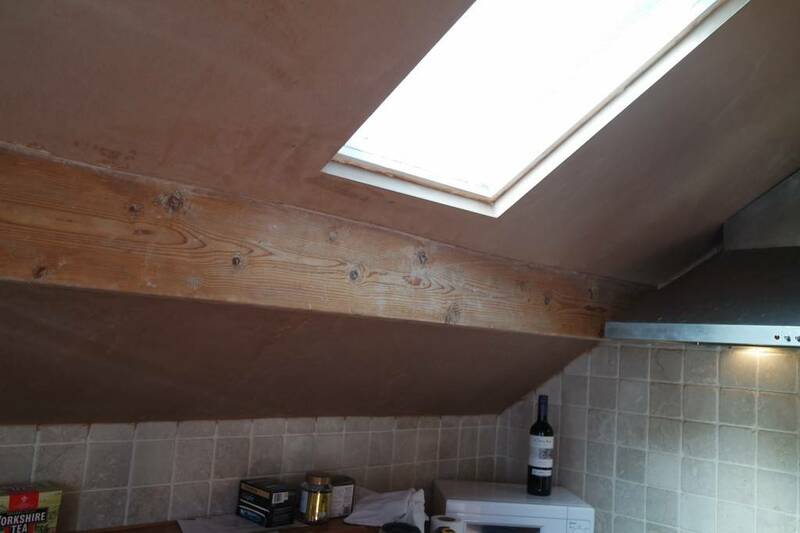 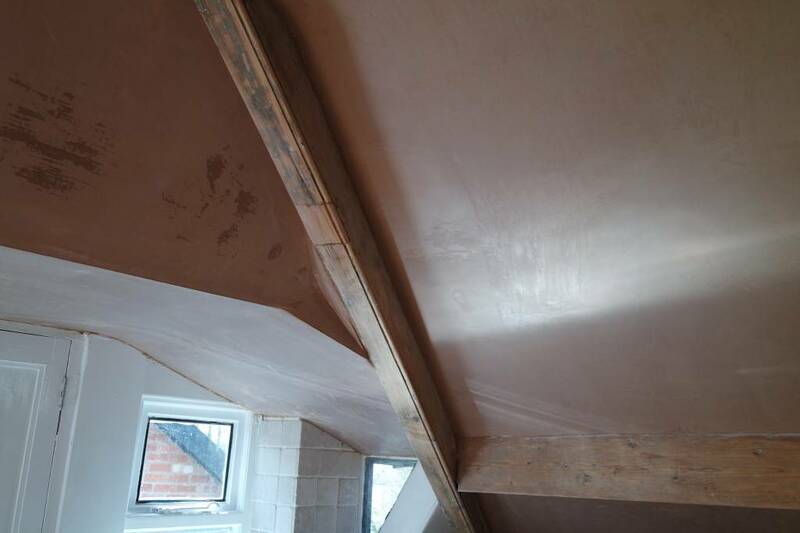 This is a loft apartment that we have been contracted to do various renovation work on. 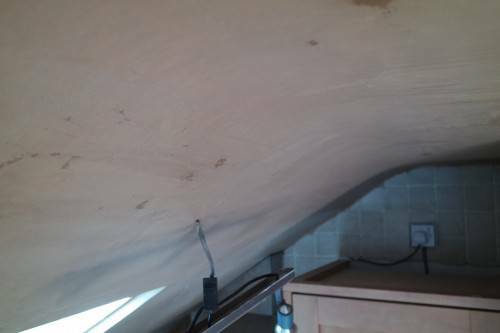 Hence the shapely contour of the roof following the curve of the roof. 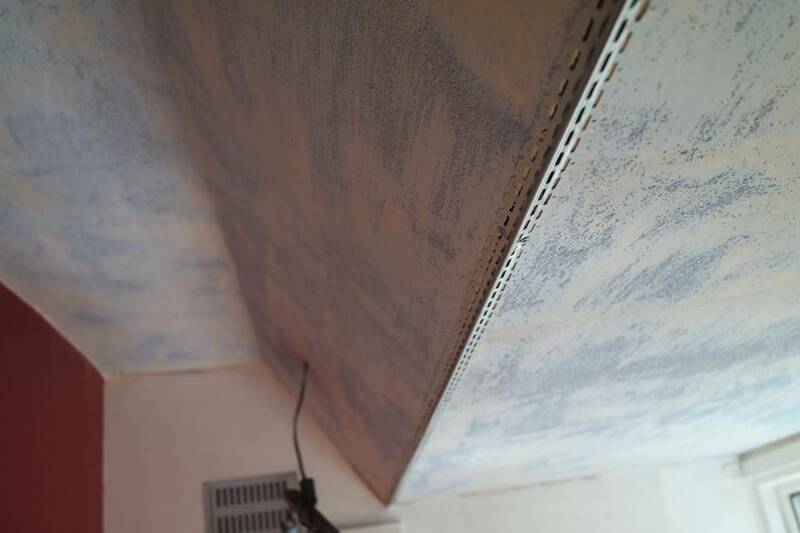 The existing ceiling was in a bad state but the costume did not want to pull it down. 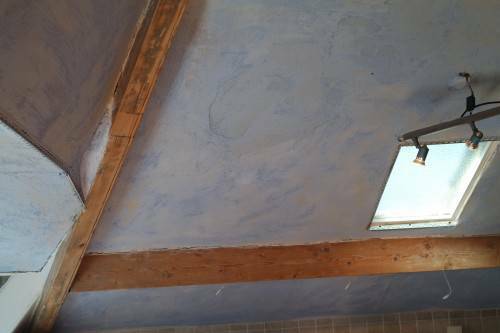 Using a lot of jointing tape over compromised areas and blue grit over all the old plaster we started the preparation work. 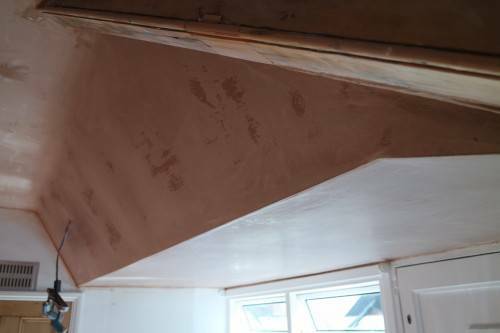 Thin skim angle beads we cut and shaped to the corners with scrim underneath. 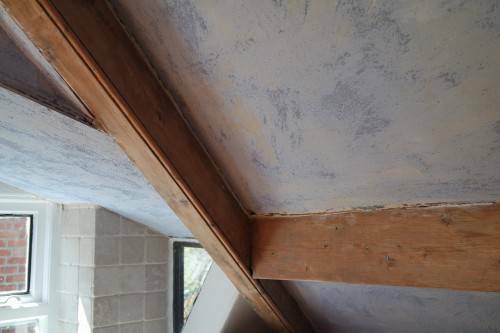 the base coat of plaster we added extra fibres to ensure the plaster bonded together with the grit in the blue grit. 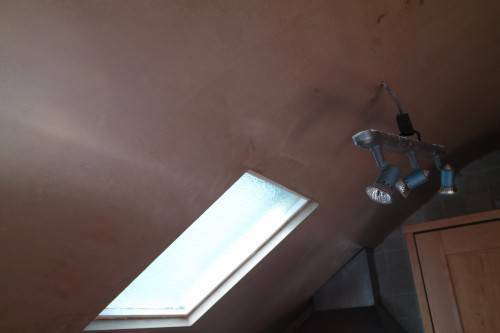 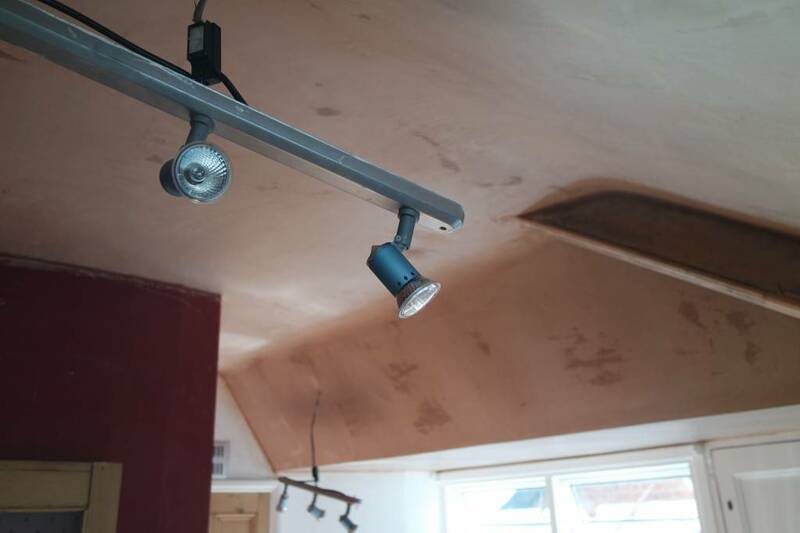 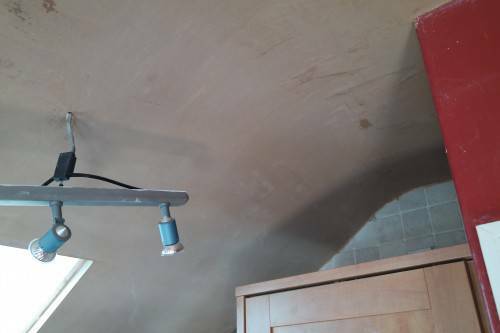 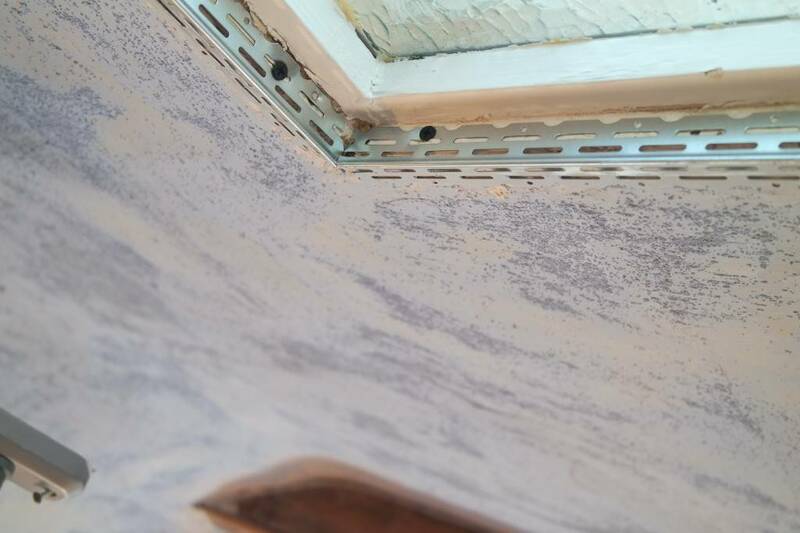 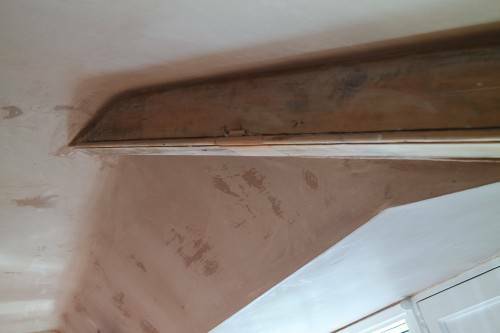 this will ensure a lasting finish, more than your average plasterer will do. 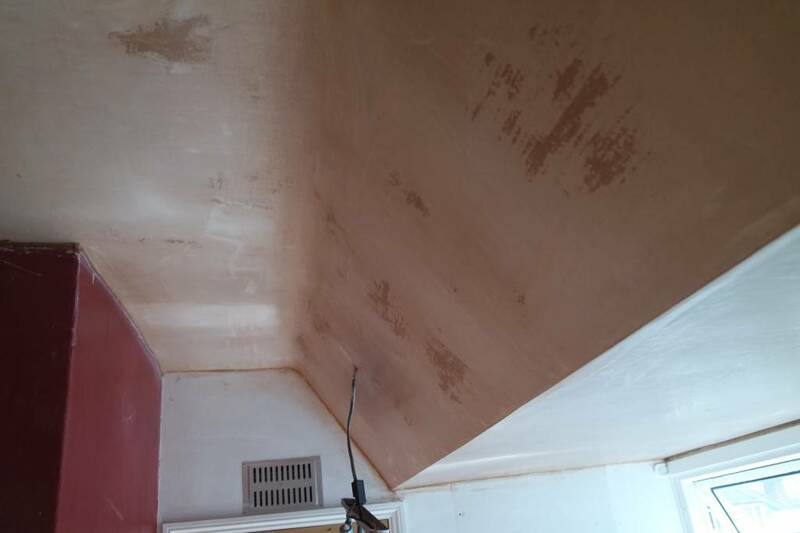 A top coat is applied and polished up to a smooth finish.